I am bringing you an antidote to our cold, rainy weather we've been having lately - with some GORGEOUS flowers and a fun blog hop. My friends at Hero Arts are releasing their April My Monthly Hero kit today and it's SPECTACULAR, so I'm joining some of my buddies in a little hop and giveaway to celebrate some spring stamping fun. I almost fainted when I found out that this kit comes with - wait for it - a CUSTOM Daniel Smith watercolor dot card with colors designed for these stamps. I seriously wanted to just stare at them instead of using them - his watercolor is just divine. The colors were chosen perfectly, IMHO for very realistic rendering of these beautiful botanicals in the kit. I fell in love HARD with Quinacridone pink, which I used on my sample, along with Quinacridone Violet, Green Gold and Serpentine Genuine. The violet is especially beautiful for shading both the pink and the greens. I stamped it first in a light pink from an earlier kit, so that the outlines wouldn't show - that allowed me to stamp images on top of each other without worrying I'd see the lines crossing over after they were painted. The dot cards already indicate the transparency for you, so if you use Dawn's swatch exercise from the Online Card Classes Intermediate Techniques watercolor class, you will already have that info for these watercolors and won't have to guess. I HIGHLY recommend that class if you like watercolor. I stamped it on Strathmore Ready Cut cold press watercolor cards - I like these because they start at 5x7, so they are fun for little field sketching or a perfect for cutting down for a card front, and they are 100% cotton, so high quality and a nice white. I chose just the smaller buds, because I thought they were so realistic and beautiful - I'm so ready for my roses to bloom. I saw my amaryllis peeking out at me this morning through the gloom. I cut this down to a 4 bar size and then mounted it on a Melon Mambo card base, stamping the sentiment from the set in Versafine with my Mini MISTI - so I could stamp it three times and get it perfect on that bumpy watercolor paper. Oh, how life-changing that is. Since it was so gloomy today - I tried out my new toy - the Foldio lightbox. I'm in LOVE! It lights the card so evenly! Normally I take my card photos outside but all this rain is putting a hitch in my get-along. I couldn't believe the ingeniousness of the magnetic folding assembly of this simple box and how much white, even light is generated by the little LED strips. I'm extremely impressed. I believe this product started as a kickstarter too - I love that. Beautifully done, and I'm really happy with it. The light was so perfect it made me want to put some pretty objects in with the card a la Debby Hughes, but I knew I'd screw that all up, so I didn't. Now I just have to figure out how to keep the cats away from the backdrops that come with it. So check out everything that comes in the kit - the dies cut out each layer of that larger flower, and you'll see what that looks like farther down in the hop. There are notecards, pearls, and the beloved Daniel Smith dot card AND a water brush. This month they also have some optional add-ons for Mother's Day, which is fun. And because they are nice people, everyone who comments on all the stops on the hop today will go into a drawing for this kit! So leave my friends some love - you probably had better just drop your jaw now, because these ladies are amazing. 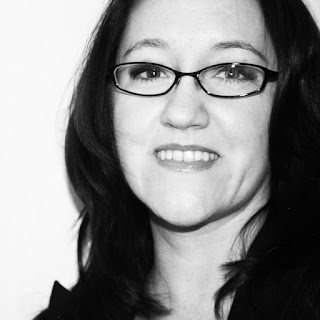 The next stop is my sweet friend Kathy's blog - hang out there a while - there's nothing that woman can't do. Then visit the rest for your chance to win! Thanks for stopping by - and good luck with the giveaway! The coloring is so beautiful that I can almost smell the roses on this card! And I love the sentiment. I am loving this kit so far! Your card is gorgeous with those bud and the sentiment!! Thanks so much for sharing. Beautiful card! I really like your design! Wow!! Everything is perfect...card, colors, lightbox! Sure to brighten someone's day. Well, I went out of order on the hop and, you're right, my jaw is a bit sore, but I think I saved the best for last. Just love the layout of your card and all that clean white space which just makes your buds POP! Love that you used the little rose buds! Beautiful card great colors. 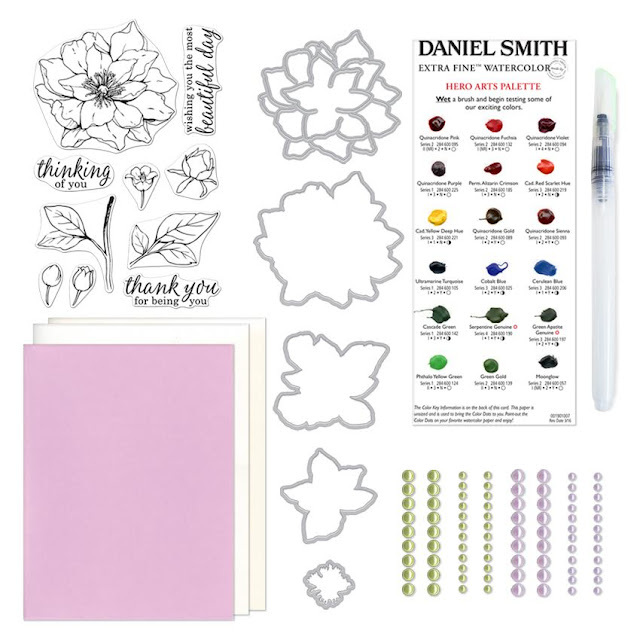 I can hardly wait to try the Daniel Smith watercolors included with the kit! lovely card, Lydia - looking forward to getting my kit!! Yes, this kit is "faint" worthy! And your card is gorgeous - as usual - I just love your work! Thanks! My jaw dropped upon seeing your card! How pretty! Love that card! Can't wait to get my own kit...soon, I hope. 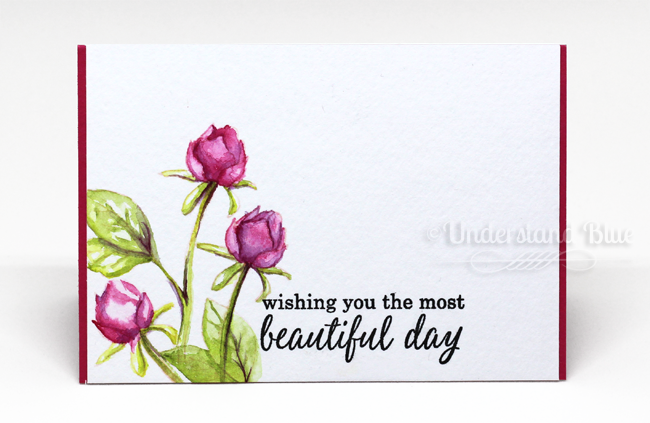 Love the roses that you watercolored on your card! Your card is a breath of fresh spring air. Thanks for sharing. Love your card and I really need this kit!!!!!! Oh, so pretty! I love how you shared just the buds on your card! love the clean and simple look of this and the painting is beautiful. Oh my, your card is just super lovely - beautiful job with the buds!! Thanks so very much! Beautiful pink buds for a chilly spring day! Very pretty CAS design indeed!! Absolutely gorgeous, Lydia! Just bought mine before they ran out! Hugs! All I can say is it is stunning. Thanks for sharing. This is stunning, I love what you did with the buds. Very beautiful! How pretty! A I love the kit! These roses are beautiful! I need this kit!!! Gorgeous card! Love the colors you used and the layout of your card. I am always in awe of your design esthetic, but this card is really special. Thanks, too, for always sharing your opinions about products. I bow to your experience, but I trust your judgement, too. Thanks for being so generous! Beautiful card Lydia! Love the watercoloring! Thanks for sharing! Your card is so pretty. Thanks for sharing! What a sweet, simple card! I love the crimson blooms! That looks like it is just watercolored and not stamped at all. Amazing technique. Love the variations you were able to achieve in your floral buds. Beautiful. Oh! Your card is gorgeous! I absolutely love the coloring. LOVE the photography with your new light box, guess which online store I am off to visit next! :) Gorgeous kit! Thanks so much for sharing. I have been patiently waiting for Monday so I could get a look!! This is stunning!! I LOVE your watercolor on those roses!! Stunning card, like a piece of artwork!!! So elegant beautiful card!!! Thanks for show it. Your rose buds are gorgeous!! I can't wait to get this!! A Beautiful start to spring. Simply beautiful card and coloring! Beautiful card!! Love your watercoloring technique! Oh my, what a beautiful work of art! This is absolutely beautiful. What a wonderful use of the great stamps in this kit. Very pretty card - lovely coloring! Your card is so beautiful and delicate, I truly love it! The rose buds are so sweet. I like that you chose to color just the buds. They make a very elegant card. Soooooooo beautiful! Love your watercoloring the flowers! Your roses are amazing--love your card! Beautiful roses. Truly lovely card. This is such a pretty card, elegant and delicate. Beautiful and so realistic looking. Wow, love your CAS card design with the rose buds, so beautiful! Oh, my... I love this! Your flower buds are amazing! I am so sold on this kit! Your enthusiasm for the Daniel Smith watercolors, the generous supplies in the kit and your beautiful card give me the encouragement I need to give this a try. What a gorgeous card! Love the simplicity & elegance of this one. This kit is awesome! I love those gorgeous, delicate rose buds. Great inspiration! Love what you did with this, beautiful card. Lovely card Lydia! I hope when I get my kit that I can create something as lovely as yours! Lydia. Your rosebuds are gorgeous. I love your watercoloring. Beautiful card! Gorgeous card! I love that you used just the buds - so simple but oh so elegant! I also really like your new toy - it has the prefect lighting! Really like your rosebud creation, something different! Such a beautiful card! I love the watercoloring and the composition! This is my favorit. Great stamp.Love your colouring. Love your colors and design. Simple yet elegant. Your rosebuds are fantastic. I've loved every post on this blog. I'll be sorry when it ends. But not sorry if I win this kit. Thanks. Love hoe you used a different flower from thr set. Your card is beautiful! Simply stunning card. That's a card I'd pay money for, and I haven't bought a card in over 20 years! Beautiful card and beautiful kit! The buds make a gorgeous card all by themselves! I love the simplistic beauty of your card! Such a pretty card! TFS! Such a beautifully colored card! There is so much depth to the roses. I have blooming roses in my yard right now that look like the ones you watercolored, so beautiful! YAY!!! I'm so happy that you focused just on the BUDS, my favorite part! 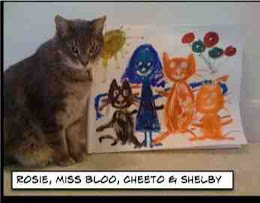 And your watercoloring skills are amazing. Love. The rose buds are pretty. Thank you, Lydia. I have to agree that the blooms are very realistic. Love Hero Art. gorgeous card... the watercoloring is amazing! The coloring on this card is just lovely. Those roses are so lovely!!! Fabulous card! The coloring is absolutely stunning! Beautiful kit! Love the stamps! don't think I would've thought to use just the buds, but it's so pretty on its own! Stunning card and your watercolour is amazing! Love this beautiful card and this stamp!!! I love how you used the buds, and the coloring is amazing! Thanks for showing a different way to use this Hero Arts set! Beautiful card with fabulous colouring. I am so loving this hop, which is proving that things don't have to be complicated to be beautiful! The images are so lovely, I can't imagine even me messing them up. Love your color choices. Thanks so much. This is gorgeous! I had to look at the stamp set again because I hadn't even noticed the smaller buds in the set! LOVE it! Your card is really lovely......... enough said! A really lovely card-very delicate. Thanks for hosting a fun giveaway. Sooooooo pretty! Love that even just using the buds is delicious! Lovely, reminds me to use my misti do better stamping. Buds stand outs with white space another reminder. Thanks. Love these hops. Thanks posting . Simply beautiful! Those buds are gorgeous! Love how you did the flowers simple but nice. Oh, those beautifully colored flower buds make my heart pitter patter! WOW! What incredible watercoloring and it's not easy! This card just grabbed me with your expertise! Loved the narrative too- just went to Texas this year and enjoyed it SO much! Oh my goodness this is stunning Lydia. Stunning card, love the colors. Like the coloring. Have a BEE-utiful day! Wow! Gorgeous watercoloring! I love your card! So happy to see you used the smaller flower! Absolutely, positively gorgeous! Can't wait to get mine!! Very beautiful. Love the buds and sentiment. Thanks for sharing! I like that you only used the buds! The color is great; this is such cute simple card! Love this card kit and your sweet card! Pretty card. I really like the idea of the watercolor dots. wow, i think you're the first one to use the rose stamp! looks great! I really love what you did with these stamps... Just gorgeous!